- Enable push notifications to get all the news, interviews, transfers and more. Never miss a single moment of any SEHA match with our unique livescore tracker. Instead of receiving numerous notifications during a match, follow the action with a single transforming notification. It changes with every important play in a given SEHA match. - Pick your favourite teams so you stay updated with everything important concerning your favourite club. Prepare for every round of the SEHA – Gazprom League, with our detailed previews and statements from the players and the coaches of every team. - Watch all the videos and keep up with all the best goals, assists and saves. 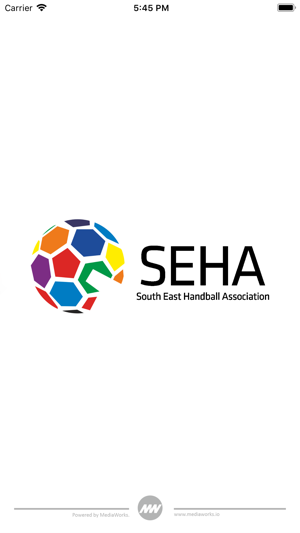 If that's not enough, SEHA highlights for all the matches of the regular season and the Final 4 are delivered straight to your device. Also, listen to post-match reactions by the key players in our exclusive flash interviews after every match. - In-depth statistics allow you to study every single player in the SEHA – Gazprom League. Keep up with all the top goal scorers, assists leaders, 7m shot takers and goalkeepers, not only in one match, but in every match played during the season. If you want more, glimpse through our social media for even more exclusive content. Experience handball by downloading the official app of one of the most entertaining handball leagues in the world- SEHA – Gazprom League! Have the best handball in the region, right in your pocket.